Construction sites can be highly dangerous. Often, there are multiple contractors working at a single location. Construction equipment itself, even when used properly, can be extremely dangerous. Additionally, many construction sites involve inherent dangerous conditions, such as the possibilities of falls from significant heights and electrocution from power lines. While workplace death and injuries are generally declining, this is little comfort for the families who have lost a loved one or who have had a loved one severely injured in a construction accident. Tragically, many of these accidents could have been easily avoided had proper care and safety concerns been implemented. In Kentucky and Indiana, if you have been injured, or a loved one has died, in a construction accident, your sole recourse against your (or your loved one’s) employer will be under workers’ compensation laws. These laws provide a statutory framework for recovering compensation for work-related injuries, as well as a death benefit for family members. Workers’ compensation benefits, in general, are significantly less than the benefits that otherwise could be obtained in a non-workers’ compensation benefits matter. For instance, a primary component of most personal injury cases – pain and suffering – is not available under workers’ compensation laws. Our firm does not represent individuals and families seeking workers’ compensation benefits; however we can refer these claims to lawyers whose practice is focused on workers’ compensation law. Can a Third Party Be Held Liable for My Injuries? While we do not practice workers’ compensation law, our firm does represent injured workers and the families who have lost a loved one in seeking compensation against non-employer parties at fault, which may include other construction companies, the owners of the premises where the accident occurred, or the manufacturer, sellers, or installers of defective equipment. Injured workers and their families are not precluded under law from bringing legal action against these non-employer parties, and a recovery may be made in addition to obtaining a recovery under workers’ compensation statutes (although there may be what is known as a “statutory lien” under workers’ compensation laws against proceeds recovered in a civil case). In a construction accident, for example, an employee of a general contractor may bring a claim against a subcontractor if the subcontractor was responsible, in whole or part, for the accident. Similarly, an employee of a subcontractor may also bring a claim against the general contractor if the accident was caused in whole or part by the general contractor or one of its employees. 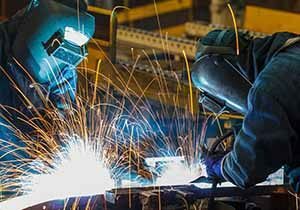 Because non-employer parties may be liable, it is our role to carefully examine the complete facts and circumstances of a construction accident to determine what people or companies may have contributed to the accident. To help our client’s position, we will generally want to examine an accident site as soon as possible before the accident conditions change. As construction sites change very quickly – often on a daily basis – our investigation soon after the accident will be especially critical. Liability for construction accidents is not necessarily limited to people and companies at the accident site. For example, many construction accidents are caused by defective products or equipment. If this is the case with your accident, the manufacturers and potentially stores and dealers in the chain of distribution all may be liable. We offer a free, no obligation consultation so that we can learn about your case, and so that you can learn about our firm and our representation of those who have been hurt in construction and other accidents. Once we learn about the fact the circumstances of your case, we can advise as to your options of recovery against those who may be liable. We accept construction and other personal injury cases on a contingency fee basis, which means that we are only entitled to a fee if we recover compensation for our clients.